Ingersoll Avenue is known for its vibrant mix of retailers, health clinics, professional offices, unique apartment buildings and eclectic bars and eateries. 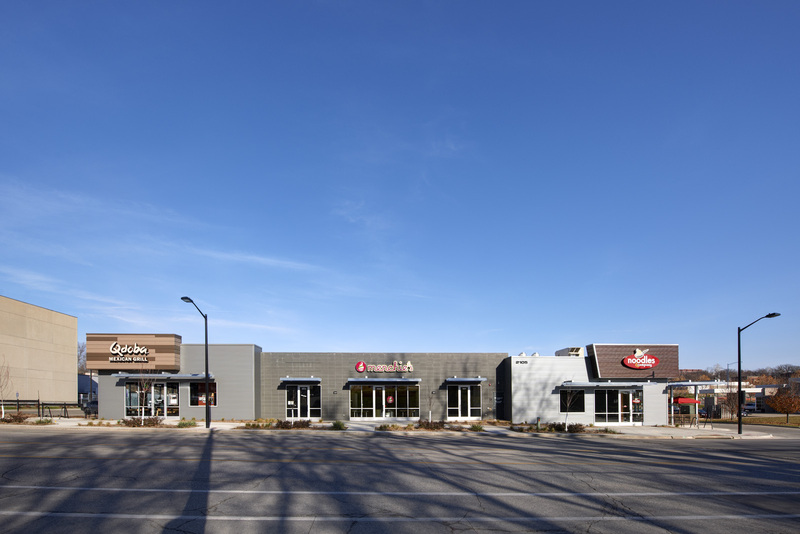 Christensen Development added to this long-established area west of downtown Des Moines by remaking a vacant car dealership into a commercial retail property for up to five tenants. This bright, modern space is now home to Qdoba Mexican Grill, Noodles & Company, Menchie’s Frozen Yogurt, Papa Murphy’s and J.Michaels Salon. We’re proud to help keep the tradition and charm of Ingersoll Avenue going strong and moving forward.